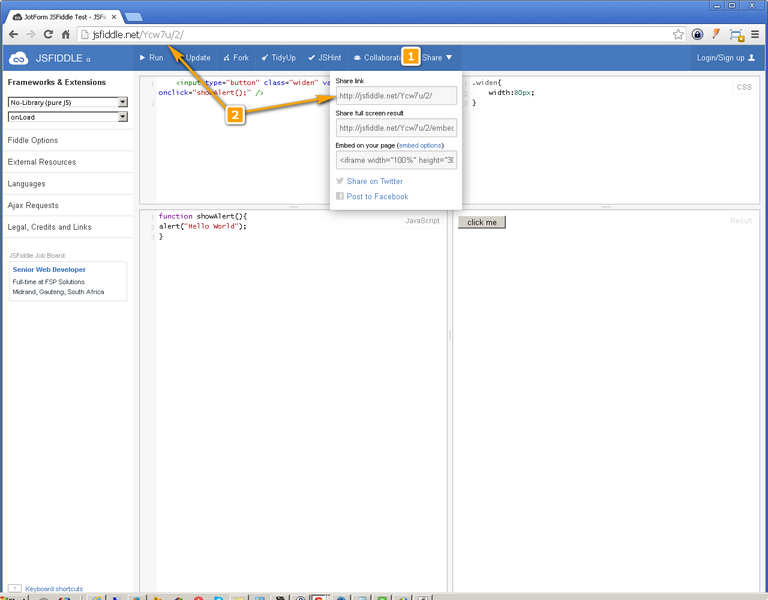 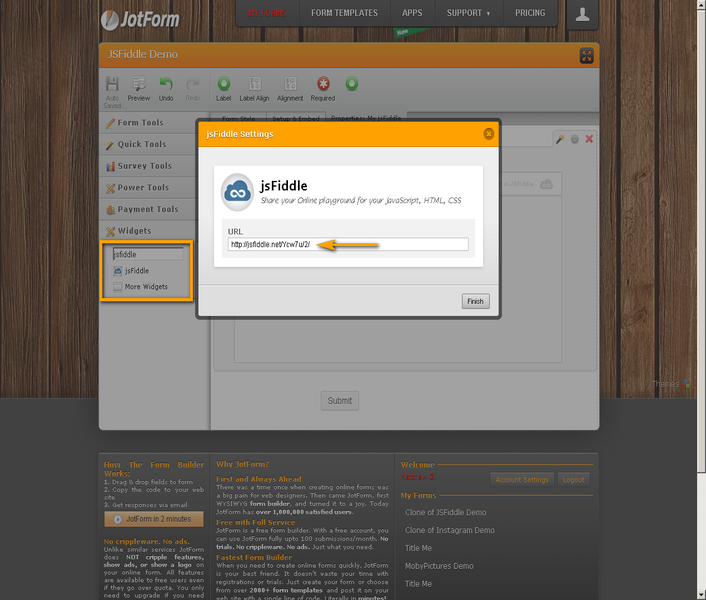 jsFiddle lets developers play with the three core elements of Web development. 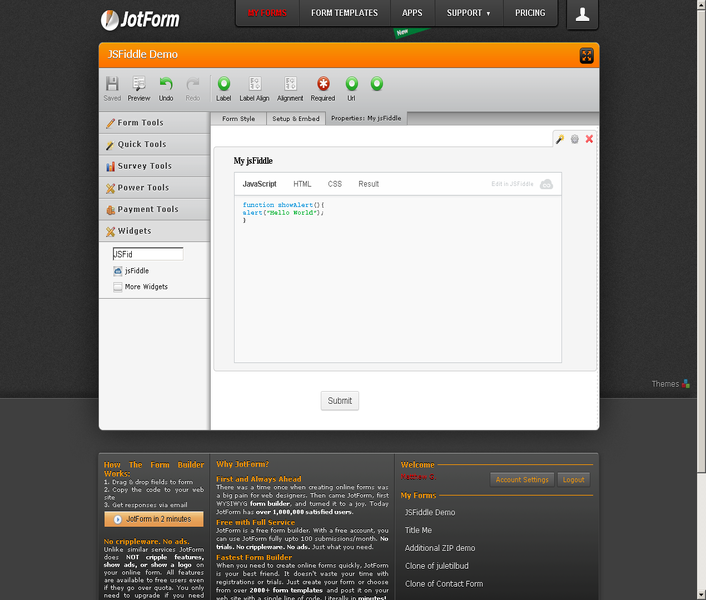 Check out this powerful application for rapid prototyping and testing. 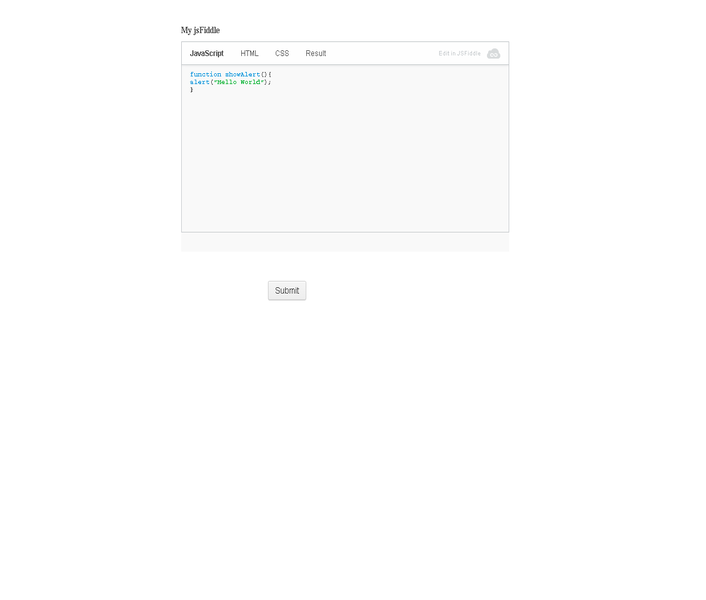 You can easily use this widget and the only thing you need is your jsFiddle share link that you can paste on the widget.